Find condos for sale in Bradley Beach NJ. Bradley Beach is an ocean front town in Monmouth County, NJ. A boardwalk runs the length of the town. Bradley Beach has an area of .6 square miles. 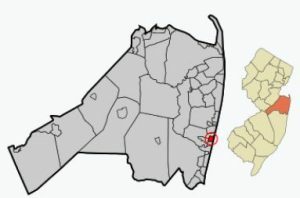 The town borders upon Neptune Twp, Neptune City and Avon By The Sea. The Condos for sale in Bradley Beach are all single buildings. There is a public library in Bradley Beach. Residents of Bradley Beach also have the opportunity to pursue activities in the area, such as boating, fishing and golfing. After all, there are plenty of golf courses in Monmouth County to choose from. In addition, shopping is nearby both in town plus along Route 35. And a major mall is nearby in Eatontown. Dining is also abundant in the immediate area. The Bradley Beach School District provides education for children in grades Kindergarten through eight. The district has one school. This school has an enrollment of about 300 children. When students reach high school in grades nine through twelve they will attend Asbury Park High School. There are also private schools nearby. Also, when students enter high school they may also apply to one of the five high schools in the Monmouth County Vocational School District. Specialized courses are available in fields such as computer science, and biotechnology. Also courses in the medical and science fields are available, among others.